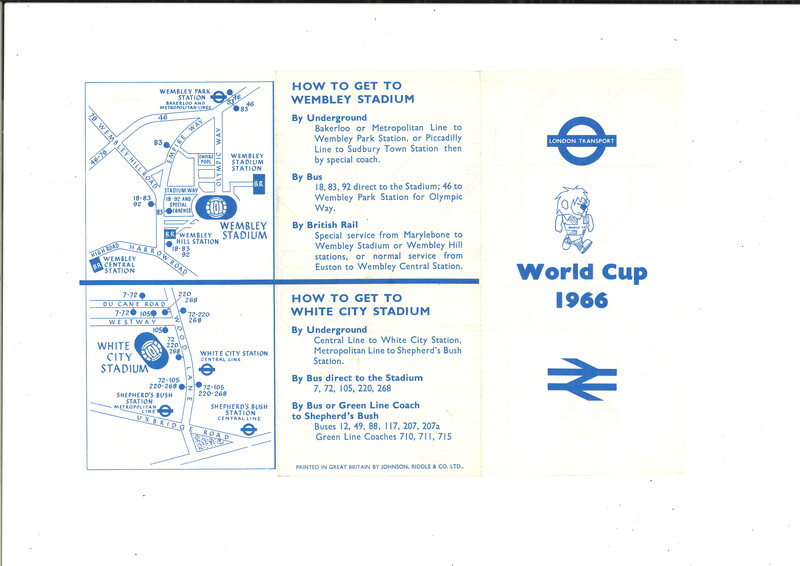 This pocket map was produced specially for the 1966 football World Cup, hosted in England. On the back of the map is wayfinding information to the two London stadiums that hosted matches in the competition: the long-demolished White City stadium in Shepherd's Bush, and Wembley, where these days, VAR would likely mean England beat West Germany 3-2 in the final. Confusingly, whereas WEMBLEY PARK is annotated in caps (because it's an interchange), White City is not given that courtesy. The map was made by one of the Underground's regular printers, Johnson Riddle & Co Ltd, but unusually there is no print code, so it's difficult to determine how many were originally printed. Typical runs in the 1960s were between 500,000 and 1,000,000, with two or three top-up printings a year. One million copies of the standard map pocket map were printed in February 1966, meaning that plenty were probably still in circulation when the World Cup took place. So this special issue may have had a fairly limited run. It is one of the scarcest post war Underground maps in circulation. I wouldn't normally have any difficulty in obtaining a 1960s passenger map, but a whole year can go past without my seeing an example of the World Cup edition at all. 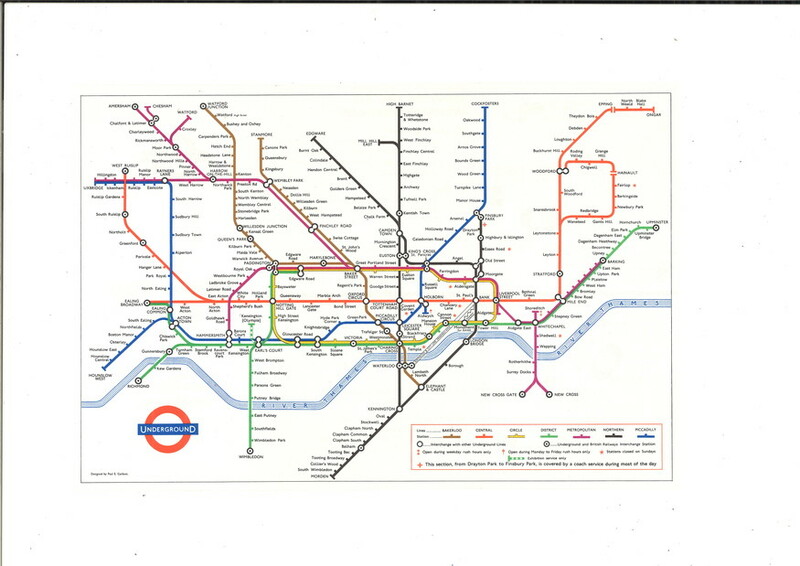 It's probable the maps were handed out across the whole Underground network, but especially at major termini such as Charing Cross or Euston. The map is priced at £250 at the London Map Fair, and given that it's almost as scarce as an England World Cup win, we doubt it'll be long before this sale is... all over.